Blippar has upgraded the facial scanning technology feature on the Blippar smartphone app. The facial recognition feature could only scan and recognize celebrity faces – about 370,000 celebrities. Now the app can recognize faces of all the users on its platform. When it scans the user’s face, it displays information about the person in form of bubbles. Information such as latest tweets, songs they listen to on Spotify and even social media profile links. 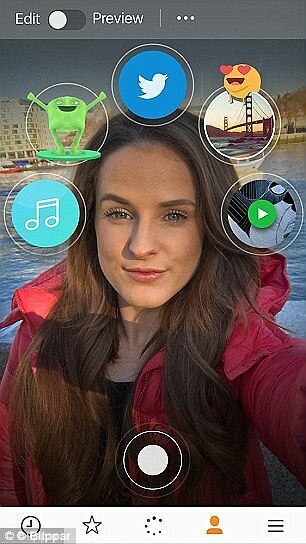 When a user gets the Blippar app, he or she will be able to scan his or her face, upload personal information and then choose the information people can find on the “bubbles” when they “blip” or scan his face. All you need to do is to scan (blip) the face of a person – in person or the person’s image – and information the person has uploaded and made accessible will be displayed in the Halos bubbles. Blippar has only launched the new “blipping” feature in beta. With the Halos Bubbles, you can also play Youtube videos uploaded by the user and also find celebrity look-alike of the user with look-alike percentage. The bubbles also contain photo gallery of the user known as moments. Blipping – Sharing your profile with others: scanning your face, uploading personal information and making it available to other users who want to scan your face. Halos Bubbles – The bubbles that appear above the “blipped” face displaying the user’s information. The same way human beings recognise faces, Blippar can also do so in a digital manner. Blippar is available for smartphones using Android and iOS. But this new feature is available in beta.